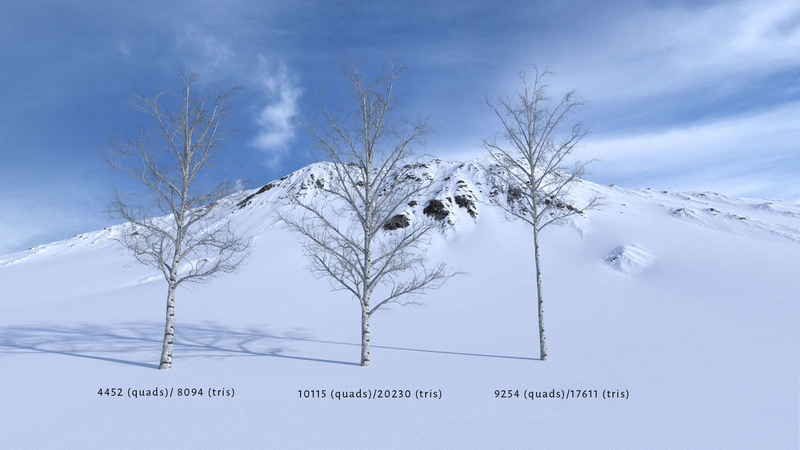 is a complete package for creating 3d winter scenes and landscapes. 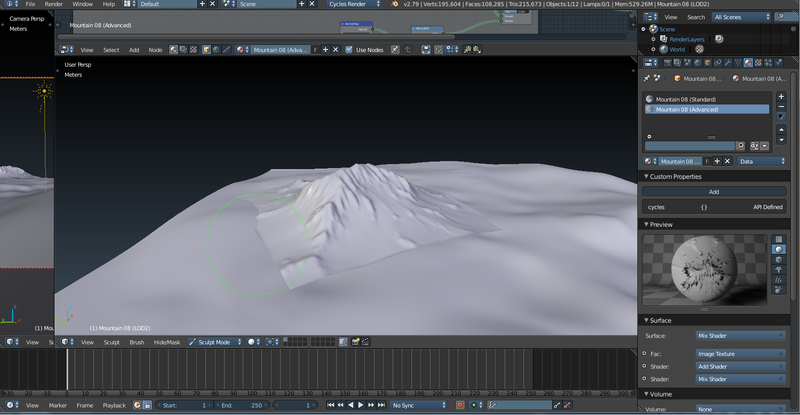 1 mesh with Subdivision Surface and Displace modifiers with Height Map loaded. 2 Low Poly Meshes (2 Level of details) based on the previous mesh but with both modifiers (Subdivision Surface and Displace) applied so that they can be edited. 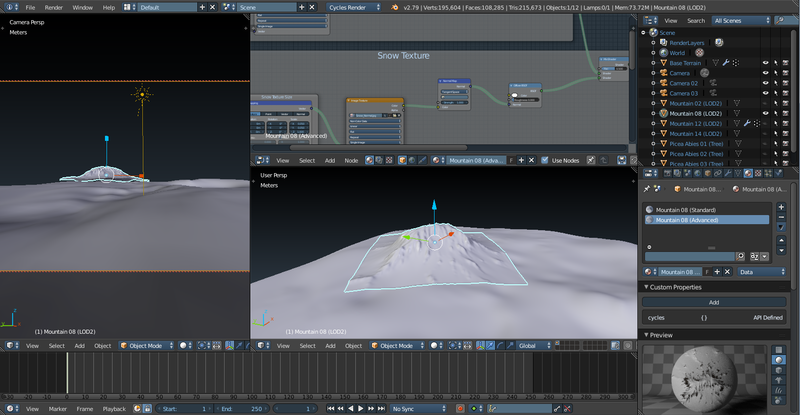 With the subdivision + displace modifiers you can easily switch up to 12 levels of details. And finally you can transform it into a poligonal mesh for editing easily. Just hitting Apply buttons! Every render showed is a RAW render, so it means that they don’t have any postproduction! Made for getting great performance. 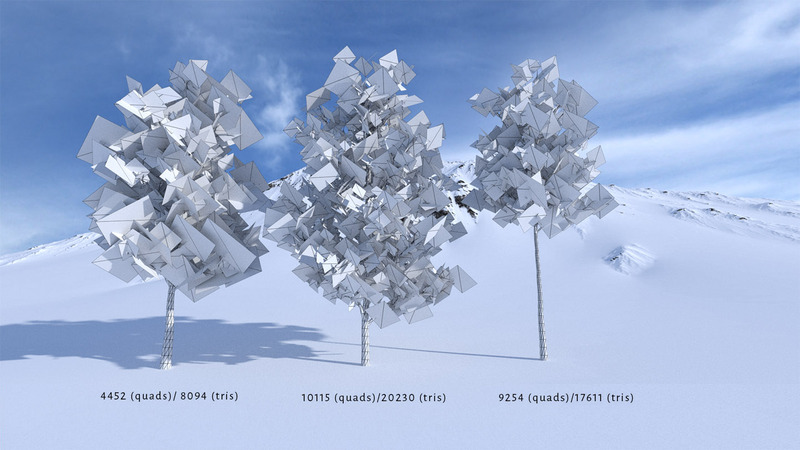 Trees look like high resolution trees but they are low poly! have an average of 15 000 tris. 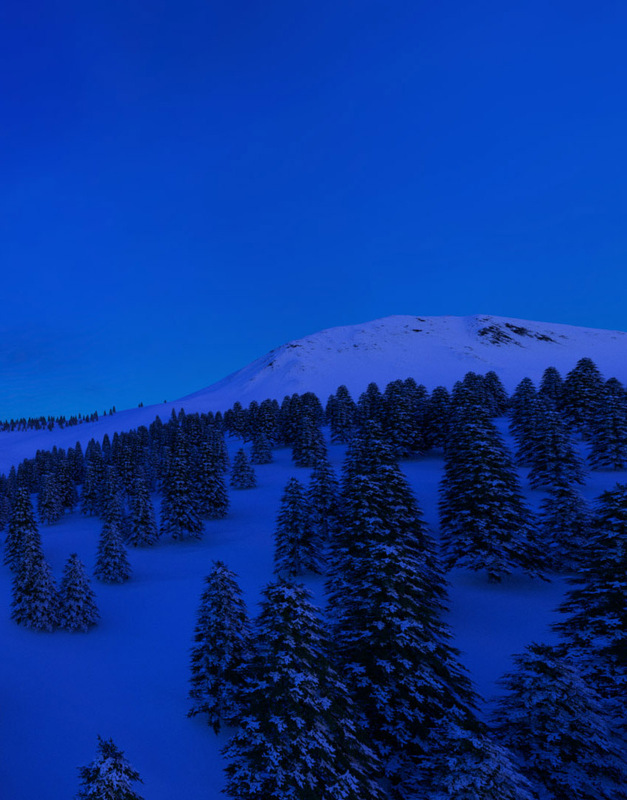 Make beautiful snow landscapes easily! 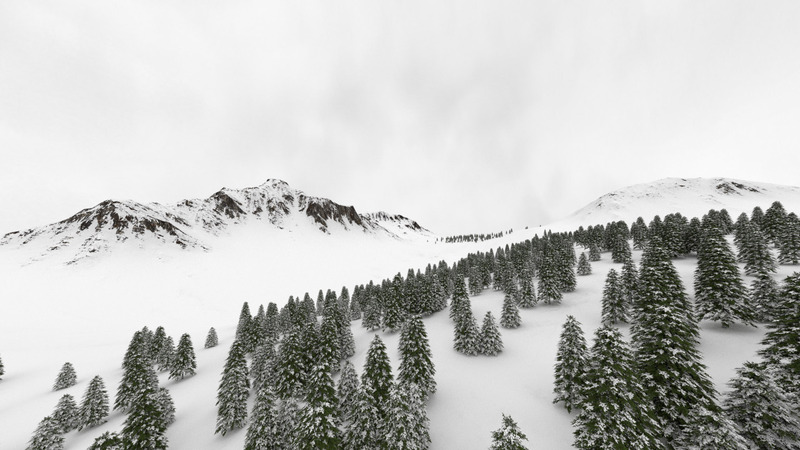 Making landscapes with Snow Landscape Builder is not only a time saver It’s easy and also fun! This allows you to focus on your creativity and creating a great background for your illustrations or architectural visualizations. You can use terrains solely or you can combine them making a great landscape! 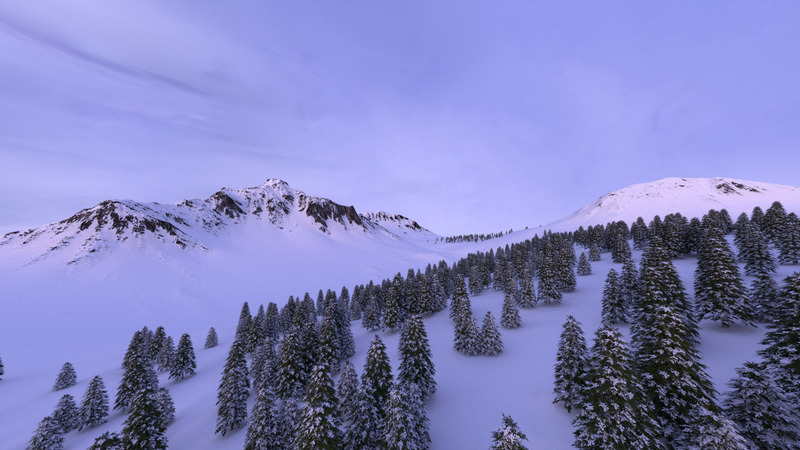 The package contains also 5 spherical 360º skies (PNG format) 4096x4096 resolution. As you can see It’s not necessary to have HDR skies for lighting a scene! Also it’s faster to render! 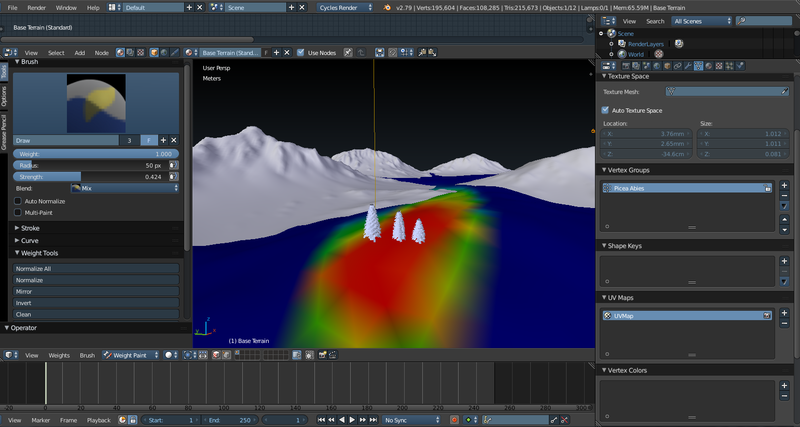 The main scene Landscape comes divided into 5 different scenes, each one with one different sky and lighting settings! 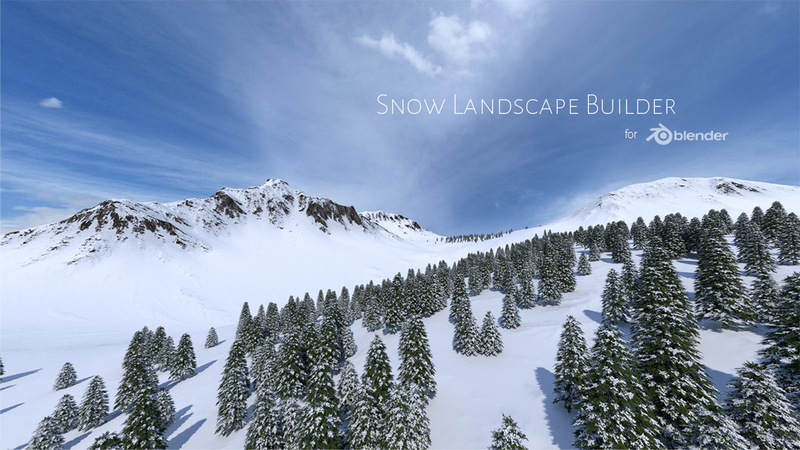 You don’t need high system specs for working with Snow Landscape Builder! It was tested in a low-end computer (Intel I5 2400 Quad Core 4GB RAM ) and works awesome. Buying separately it can cost $ 15-30 each one. 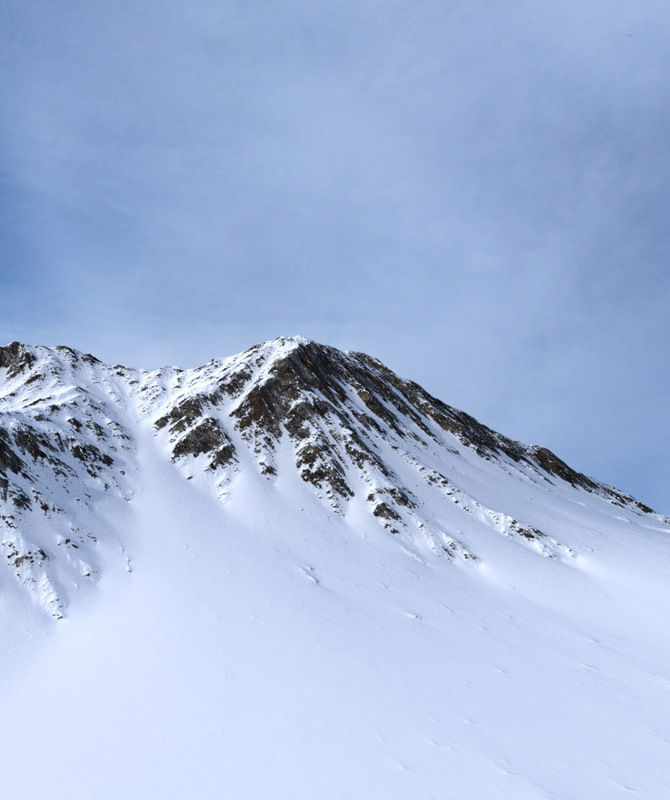 And this package includes 20 high quality terrains, so that it could cost more than $300. The package also includes 15 trees with two variations each one making a total of 30 trees. 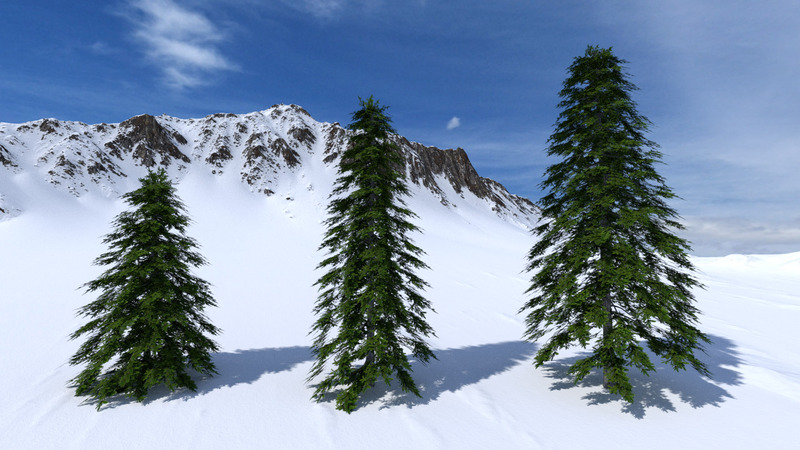 It’s easy to find high quality trees on the 3d models market, but low poly trees with good quality is quite hard to find them. And that makes a total of more than $800. But the package includes more! Several months of hard work has been dedicated making this package specially for you. A complete manual is included explaining in details the basics of the product. if you have any doubt don’t hesitate to contact us through this web. One Company up to 10 licenses.